BeTween Us is a collection of tips, resources, and stories from moms and tweens. Thanks for stopping by. Topic idea? Topic you want to write about? Let us know! 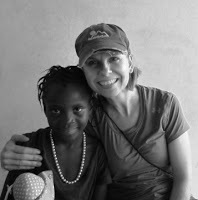 In the summer of 2012, I embarked on a humanitarian trip to Haiti with Soles4Souls – a disaster relief organization that provides shoes to children and adults in developing parts of the world. I developed strong bonds with the group I traveled with as we visited rural communities and immersed ourselves in the culture and with the people there. The dynamic of the group was fantastic – men, women, tweens and teens – all being exposed to a completely different culture and way of life from our own. While it was not my first time to travel to places where daily life is a struggle for the local people, I could immediately appreciate the difference in circumstance between the people of Haiti, and those I’d met in the villages of Morocco, the townships of Johannesburg’s Soweto or the rural communities in Namibia or Thailand. Haiti’s tumultuous history of natural disasters, combined with civil unrest and a troubled history all play a part in the lack of progress and the challenges its people face. For some travelling in the group, however, it was their first time to visit such a place – their eyes were opened to poverty combined with happiness in this majestic – yet complicated – country. Two things that stood out to me immediately: the vibrant attitude of the Haitians despite their difficult living conditions, and how the teens and tweens in our group adapted so easily to their surroundings – showing empathy and goodwill. The population of Haiti is 10.6 million people – however my mantra in life is that if I have made a difference for just one person, then I know my efforts hold value. Our group of 13 arrived in Port Au Prince – my impression was that of an energetic, pulsating city. Though electricity lines were few and far between, the energy of the city was present in the ebb and flow of people mingling well into the night, of football (soccer) games being enthusiastically played out in a common park, of Haitians walking the streets, well dressed, proudly displaying a flair for casual elegance. We continued for another two hours by road to reach a mountain village community center. A little unsure of what our reception would be, I watched the younger members of the group – I wanted to see how they would feel, connect and respond. Our facility was basic: a collection of haphazardly assembled tile, metal and concrete forming a structure. Recycled rusted nails and metal scraps covered small cracks and joints in the walls. In the center of the facility was a basketball court for the village children. Older members of the community confided it provided a welcome distraction from the evident need and lack of progress surrounding them. The teens and tweens dived headfirst into their experience, with little regard for the cultural gap. They immediately connected over an informal game of basketball with locals of their own age group. Intermittent electricity, roaches, mosquitoes, poor plumbing (we had to get used to flushing the toilet using a bucket of water) and knowing we’d be without showers for the first 4 days, were all part of the experience, and didn’t deter us for a moment. We arranged our things among metal bunks and brightly painted rooms, and settled in to sleep, and dream, having been embraced as part of the community. I noticed the children were often shy, occasionally crying, sometimes smiling nervously, often uncertain but there was a beauty to them. My French came in handy (as French Creole is the predominant language) and I used it to joke with them and chat about the shoes they were receiving or the temperature of the water, creating a small but satisfying connection between two hearts. When finished, the child would rise and turn to leave, saying “Mesi” (Creole equivalent of “Merci”) as they departed. We were allocated the Community Center gym and a nearby Community Church as our work-spaces and we began early: moving boxes, preparing wash bins and organizing shoes into sizes. Our group of volunteers worked together smoothly at a steady pace for 5 hours per day, ensuring the right amount of time and care was spent on each person who came in need of a pair of shoes. The afternoon shift began with a walk into the village that required careful footing over hilly terrain, with only gravel and stones making up the roads. As we approached the church, we were touched to see a line of women had already assembled beneath the midday sun in anticipation of our arrival. I couldn’t help but consider how long they had been waiting. As they stood in line, I noticed each gently held the person in front of them by the forearm, creating a human chain. Did they intentionally do this? Were they holding their place in line, or holding each other, I wondered. Our arrival in the village caused quite a buzz. While women entered the church to be measured, have their feet washed and fitted, young boys boosted each other up to peer through the window openings, excitedly chattering about the activity inside. I took time with each woman who approached me. The women seemed a little reserved, however we connected through touch, eye contact and a few spoken words. I made sure I treated each woman with respect – and as I washed their feet, hardened from daily routine, difficult terrain and a heavy workload, I knew each one had a story to tell. Though their feet were unavoidably worn, I noticed these women presented themselves as best they could: well dressed, hair swept back and pinned at the nape of the neck often carefully covered with a hat. Our stocks began to run low, and I could see them forcing their feet into shoes to make them fit, rather than walk away empty-handed. A mutual smile was shared to show we understood.When each fitting was complete, they took the new shoes along with their old, worn shoes – they were still needed. Those we had to turn away as our stocks had diminished broke our hearts with their looks of disappointment. On our walk back to the center, many children asked to follow us. They clung to our arms and fingers, leading the way and satiating their curiosity as to whether our skin felt different. They seldom smiled for photos, but personal interaction, jokes and attention had them beaming 100-watt smiles. I lingered in saying goodbye. We considered these days a success, having distributed nearly 700 pairs of shoes among the community, and given those we could a break from their day and some time off their feet. The three-hour drive to Montrouis gave glimpses of earthquake rubble, partially completed concrete walls and small, tented camps adorned with blue tarps and homes built with metal scraps. We stopped to see the mass burial site on the hill that was used during the earthquake, and the fields where many had been displaced afterwards. Today, these spaces are largely vacant. Further along the road, we began to see large homes and small businesses. We spent a few hours at a coastal resort, the highlight of which was enjoying our first shower in four days – it was quick and cold, but very much appreciated. We spent the afternoon at the New Vision Home for Children where we distributed toys and smiles in abundance. This organization is run by generous western families and locals, who are dedicated to providing support to the children of Haiti. Our interactions here were just as real: I videotaped a little girl dancing and talking with me. When I played it back for her, I was rewarded with the most contagious, beautiful laughter. I will remember that moment for the rest of my life. That evening, as our trip was drawing to a close, we took a moment as a group to reflect on our week of service – and agreed it had been a challenging, confronting and rewarding experience. I was particularly interested to hear from the teens and tweens, and was impressed by their mature and gracious responses. One said that seeing others get by with so little made him appreciate what he had back home even more. Another talked about seeing ‘what hope looks like’. It was clear this trip had a positive influence on not just the Haitians, but also the young minds in our group as well. The seed had been planted, and I believe these teens and tweens will benefit from their courage – plunging into the unknown to serve others – and really ‘seeing’ those we serve. Another element that brought a dose of reality to the situation was a local community leader who was also a dentist and a law-enforcement member (yes – he is all three and probably more!). He said the resource Haiti needs most, is people. People to teach them how to build, improve, change the current mindset and bring hope. His dream for Haiti is that people will strive to leave a better legacy for future generations. That was a profound statement. While donating shoes and immersing ourselves with the people is definitely of immediate value, it made me realize that a sustainable skill would have benefited the community more over the long-term. For more exploration on that topic, click here. Hauling my bag up my driveway, after a dusty drive and a tiring flight, I knew my thoughts were still back in that Haitian community. I realized one of the reasons I love to travel is to appreciate the involuntary breakdown that occurs within me: when I get to know other people and places, I also get to know myself. Every comfort, every assumption, and every reservation is stripped away to nothing but the human heart. I encourage everyone to get out there and volunteer – you don’t have to cross oceans and mountains – it might be in your local area that someone needs your time, energy and hand of friendship. Whether you are volunteering, or just want to enjoy its beautiful coastline, Haiti is definitely worth a visit. For tips on how to include volunteering on an upcoming family trip, check out these tips from Trekaroo.